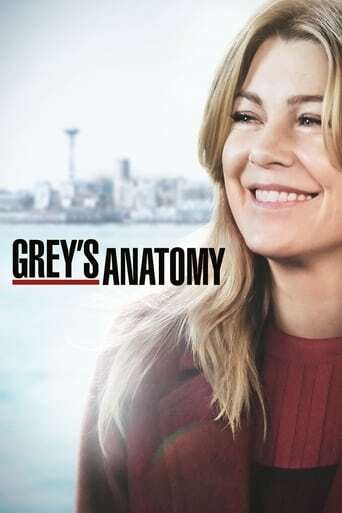 As Meredith and Derek begin to find that their "happily ever after" is anything but easy, Cristina develops a crush on a military doctor who brings in a trauma patient. Meanwhile, the Chief and his staff cope with the news that Seattle Grace is no longer considered a top-tier teaching hospital. 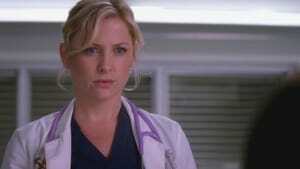 Alex is offended when Izzie talks about how great a man Alex is to Meredith. Derek is stabbed with the scalpel in the palm of his hand by Rose, while the Chief is stunned over Mercy West's increase in the number of patients, a deadly ice storm ravages Seattle. When the plumbing springs a leak, chaos breaks out at Seattle Grace as the Chief tries to put in place new teaching methods. Meanwhile, George takes his residency exam; and Derek attempts to get Meredith's roommates to move out, much to their surprise. Meredith is sent into a state of panic when Derek finds her mother's diary in the house. Meanwhile, Callie stresses while preparing for her first date with Erica. 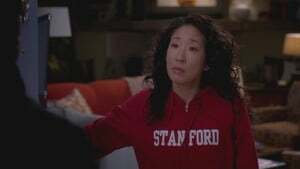 Later, Cristina stumbles across a part of the hospital no one has ever seen before. Bailey heads up a "domino procedure" in which each surgery hinges on the one preceding it. 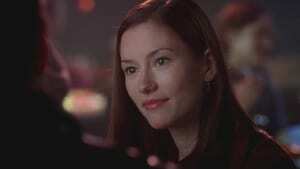 Meanwhile, Derek gets sole credit for the brain-tumor study he did with Meredith; Lexie tries to get George to notice her romantically; and Sloan counsels a desperate Callie in the ways of love. The chief gives Bailey new power and responsibility. 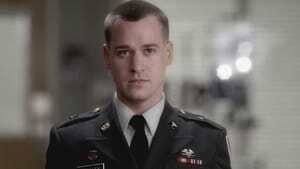 He also gives her a very difficult surgical assignment: remove a girl's inoperable tumor. 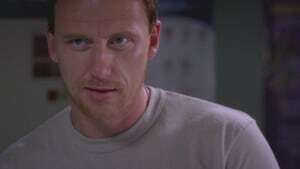 Meanwhile, new trauma chief Owen (Kevin McKidd) challenges the attendings' methods and the residents' skills. When the Chief makes an announcement that a solo surgery is up as an award, the residents are sent into a frenzy all trying to get an edge over one another. 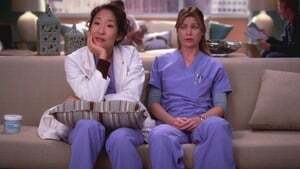 Meanwhile, Derek asks Bailey for advice after Cristina continues to interfere in his relationship with Meredith. Elsewhere, Erica uncovers a shocking connection between a resident and a patient. One of Meredith's oldest friends, Sadie, becomes an intern at Seattle Grace, but Mer's friends are less-than-welcoming to her. 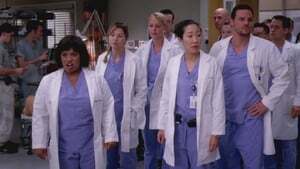 Meredith, Cristina and Bailey come to Lexie and Sadie's rescue when a routine surgery goes horribly wrong, as Owen and Derek treat a man seriously injured while sleepwalking and Mark comforts the sleepwalker's distraught daughter. Cristina is awarded the first solo surgery among the residents, but she is forced to give it up and choose her replacement; Lexie is impressed when Mark performs a cutting-edge procedure; Callie doesn't know if Sadie is friendly or flirtatious. 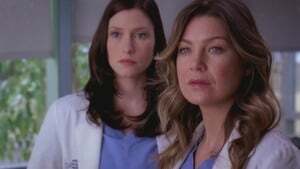 Bailey teams with Seattle Grace's new pediatric surgeon, Dr. Arizona Robbins, to save the life of a young patient near and dear to her heart, as the admittance of a death row inmate at the hospital stirs anger in Derek and further erodes Meredith and Cristina's friendship; meanwhile, Callie and Sloan work as a team to fight their respective attractions to Sadie and Lexie, and Izzie tells Alex that she's seeing Denny. Bailey grows desperate as a patient's condition becomes more and more dire. Everyone in the hospital is stepping up to try to find the boy a new organ donor, including Meredith, who considers a death row patient's wish to die before execution. 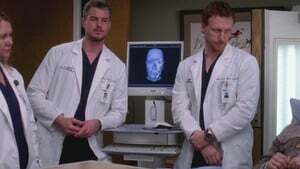 Meanwhile, an injury leaves Mark in a compromising position in the OR and Cristina awkwardly avoids Owen. Now that Derek has the engagement ring, he searches for the perfect way to propose to Meredith, as Lexie demands that Mark go public with their relationship, and Bailey, encouraged by her work on recent cases and by Dr. Dixon, considers a new direction for her medical career. Derek's confidence is shaken like never before as he faces off with Addison over what course is best for their dying pregnant patient; Cristina calls the abilities of a renown surgeon into question after she botches a standard procedure; and Bailey, who has decided to pursue a fellowship in Pediatrics, is appalled by the Chief's less-than-stellar recommendation letter. Derek decides to quit after learning that more of his patients have died than survived; Izzie's interns make an unsettling discovery about "Patient X." 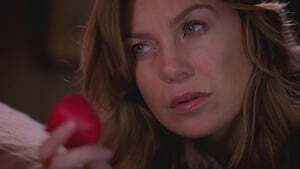 After his fellow surgeons try and fail to bring Derek back to work, Meredith must summon the strength to convince him. Meanwhile the hospital is abuzz as Mark attempts a rare face transplant surgery. Cristina, at last awarded her first solo surgery, is more focused on the needs of her friends, and Izzie does her best to keep her medical condition a secret. 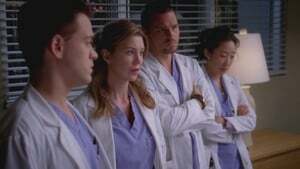 All eyes are on Derek as he is set to perform his first surgery after his breakdown; attention is also set on Izzie, whose medical condition requires her to undergo a difficult surgery; and Owen has another PTSD episode that injures Cristina and traumatizes both of them, throwing the future of their relationship into question. 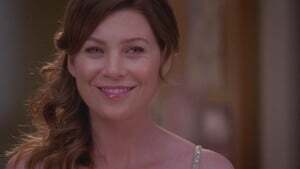 As she endures aggressive treatment for her cancer, Izzie throws herself into planning Derek and Meredith's wedding. As preparations continue for Meredith and Derek's wedding, Izzie receives a surprise hospital visit from her handful-of-a-mother, Robbie. Meanwhile, a newly sober Thatcher visits his daughters, Meredith and Lexie, in order to make amends, and the Chief and Meredith bitterly fight over a controversial medical case. In the first part of the two hour season finale, Izzie spends time with a fellow cancer patient and contemplates whether or not to undergo a risky surgery, as Mark is ready to take his relationship with Lexie to the next level and a patient makes Owen reassess his place at Seattle Grace. 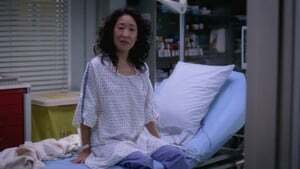 In the second part of the two hour season finale, George delivers stunning news to Bailey, sending shockwaves throughout the hospital, and Izzie's friends anxiously await her recovery from surgery. Meanwhile Bailey is surprisingly displeased after being accepted into the pediatric fellowship program, and the victim of a near-fatal traffic accident brings the talents of Seattle Grace's doctors together. This is the second hour of a 2-hour season finale.